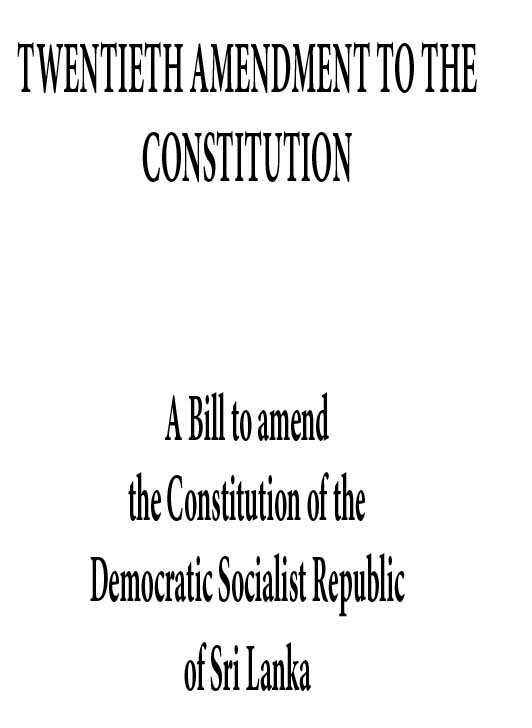 LEN - www.lankaenews.com | Herein is the draft of the 20 th amendment which will change the destiny of the country ! 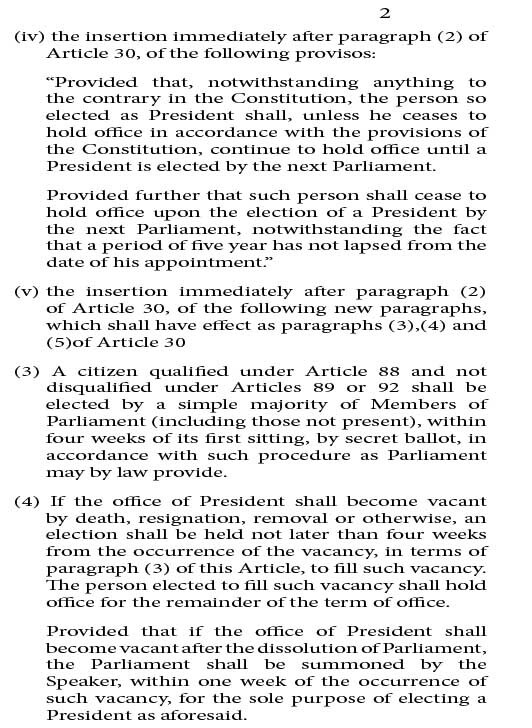 Herein is the draft of the 20 th amendment which will change the destiny of the country ! 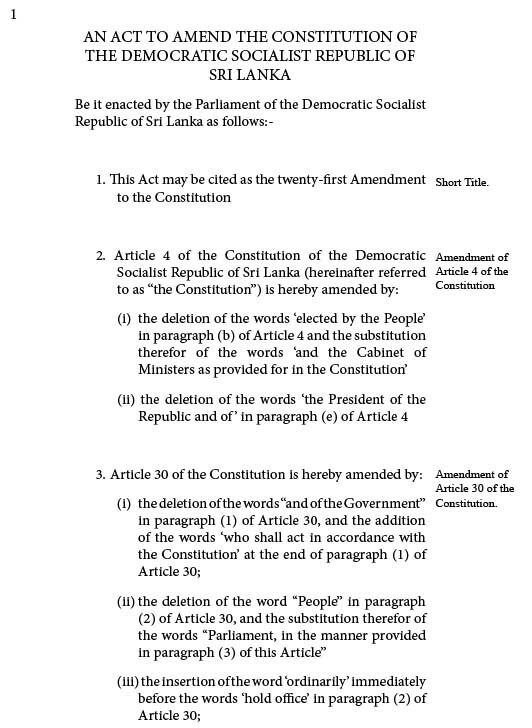 (Lanka-e-News- 01.June.2018, 11.00PM) The draft of the all important 20 th amendment to the constitution that was presented to the speaker by the JVP for the abolition of the executive presidency is being published herein in the public interest . 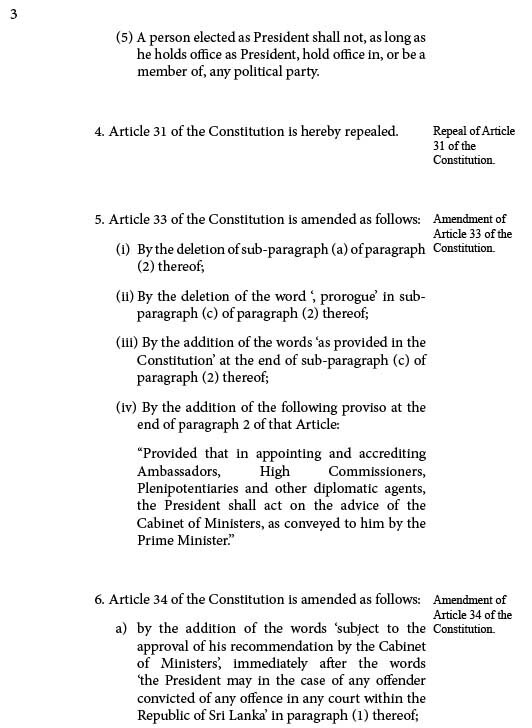 The most significant feature of this amendment is , the individual who is selected via the parliament as president during his tenure of office cannot be a member of any political party. 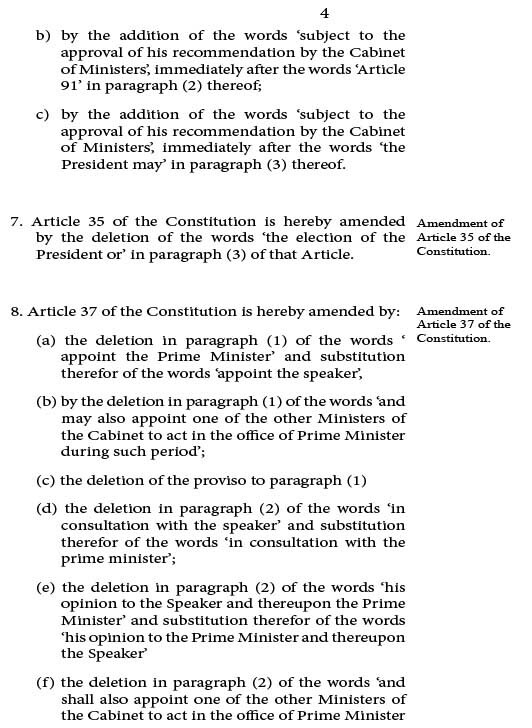 However when this is debated in parliament it is most likely that may undergo a change. This draft which comprises 17 pages can be viewed by clicking (to magnify) on the image herein . Using the icon , it can be read after magnification commensurate with your needs. We are hereby inviting your comments and criticisms on our face book page in this regard.